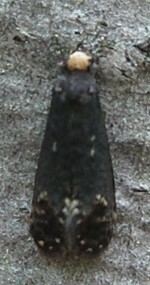 This moth was found resting on a tree trunk. I am having real trouble identifying it...not even sure of the family. Any help with this ID is much-appreciated! your ID suggestion looks good to me- thanks so much for your help!